What would you do with an hour back? My kids beds have been changed more often than I’d like. Middler is quite hard on his, and tends to use his as a trampoline, which means a slatted version of any bed is just completely out of the question for us. I think two of my kids are now past the bouncy bouncy stage, although TV adverts showing teenagers having pillow fights on their beds really just not make for a happy mum when the kids copy it. 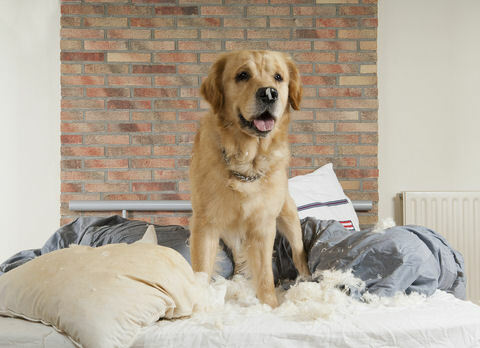 If the production and acting teams has to clear up the mess after a pillow fight, I’m sure there wouldn’t ever be one again – anywhere. I remember when my kids were really little and I put them to bed. I thought they were quiet and the rascally dog sneaked in beside them. Deciding to open a bag full of nappy bags, cream and talc, the kids and the dog decided to throw it all over the room. I heard the laughter and barking, only to find myself greeted at the door by a plume of white powder and mess everywhere. This led back to reminiscing about the early days and restful sleep for us all. There’s nothing better than a great night’s sleep, and Dreams, the bed retailer got in touch at the time of the clocks changing and asked me what I’d like to do if I had an hour of my time back. I could have gone for a new haircut, my nails done, or a massage, but all I could think of was that I’d like to sit in peace with my kids and enjoy a film with them all sitting in the same place. I thought I’d pick something for me, but there you go, I put the kids first – as lots of us tend to do. 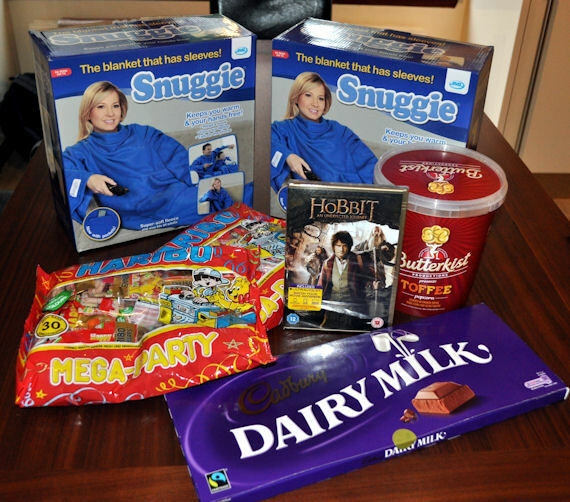 Dreams sent us a fabulous pack of goodies with blankets, sweeties, popcorn and a copy of The Hobbit to watch. I don’t have to say that my kids find it hard to sit still, but the film had enough twists and turns and slapsticky stuff that kept my kids entertained. 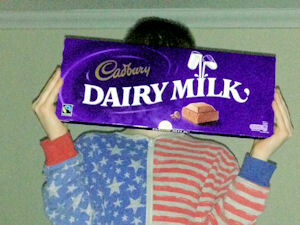 The man was out for the night and we sat and started to munch through the most massive bar of Dairy Milk that my kids have ever seen. I’d said to Dreams that I like Dairy Milk, but the kids pinch it, so the bar they sent through could have fed a dozen people with chocolate. I left it in the cupboard overnight and strangely enough, the next morning, the box was still there, but the chocolate had disappeared to where the chocolate fairies always take it. We have very naughty chocolate fairies around here. Thanks to Dreams for our amazing Movie Night. We appreciate it. Have a think to yourself and ask the question – what would you do if you could have an hour back? That’s an interesting question! I would quite like time to finish reading the Prisoner of Azkaban to the girls, which is difficult at the moment between putting to bed the two littlest…! That would be lovely. It is so hard to find time when we are all together and there are different children who like to hear different thing. I wouldn’t mind if someone wanted to send me some chocolate! Well, I’ll have to admit I would be selfish (for once!) and use it on myself! I would probably try to do some exercise with my hour…perhaps a swim because I’d like to get back into that again and it’s impossible to do lengths with a baby in tow! I think I’d hide the chocolate next time if I got a bar as big as that. I should have bagged it and put it in the loft !! A swim would be nice, but my problem is usually finding a pool that I can get to and for it to be open to the public at the same time. I hear you on the lengths. I still can’t do that if mine are with me as they now go to the deep end as new swimmers and mess about too much.